Wait is over OnePlus fans, OnePlus 2 sale in India starts at 4PM IST exclusively via Amazon India. Have you registered yourself for Invite. 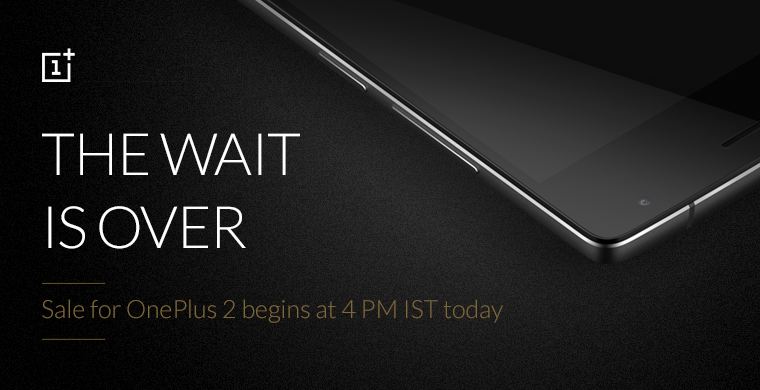 Over 3 million registrations for the invite of OnePlus 2 has been done. 1) Early and Most Fervert Supporters will be prioritised - which according to OnePlus means, whose who helped them grow from unknown company to this status. Specifically people who registered for the pop-up stores, fan meets, early forum members, early purchasers and most active OnePlus One invite evangelist. 2) An option for everyone - There will be variety of invites, like participating in their contest or other promotions and reservation list, but for that to recieve an invite when they have stock. If you guys if don't know, today the OnePlus 2 is available for purchase in Colette Paris free invite. So the sale will be starting after few hour's stay tuned for info, FOLLOW us in TWITTER at - asknext1.